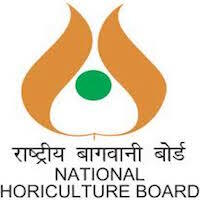 Online Application Details for National Horticulture Board NHB Recruitment of 1 Deputy Director and 1 Horticulture Officer is given below. Application form and duly attested documents are to be sent to The Managing Director, National Horticulture Board, Plot No.85, Sector – 18, Institutional Area, Gurgaon, Haryana. In envelope super scribed with 'Application for the Post of Post Name'.